Most folks believe that first came the vacuum tube, then, right on its heels, came its successor, the transistor. Not really. Another control technology came in between. This is the technology of the magnetic amplifier. 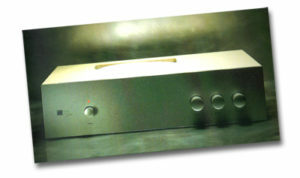 The mag amp was developed by U.S. and German engineers in the 1940’s and 50’s. What is the relevance of the mag amp to experimenters and engineers today? 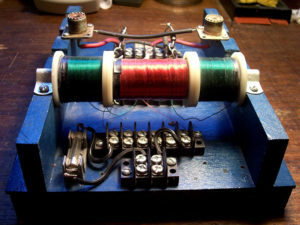 While the tube and transistor are of esoteric manufacture, a mag amp can be built by anyone. Also, the mag amp is indestructable compared to the fragile transistor and vacuum tube. In the 1940’s and 50’s, the magnetic amplifier was not just an experimental dream languishing in some inventor’s notebook. Nor was this ingenious technology sitting unexploited in patent archives. By the 1950’s, the magnetic amplifier was in manufacture in a number of versions in the U.S., and had a clique of boosters, including many electronics engineers. Engineer enthusiasts of the 1950’s wrote a military tech manual as a promotional brochure. Magnetic Amplifiers is unusually passionate and well written for a military document. The mag amp, evident today only in some motor-control and power-supply regulator applications, can not only regulate but can magnify, modulate, switch, pulse-generate, invert, convert, multivibrate, phase shift, and multiply. 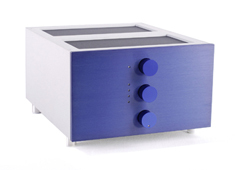 Mag amps require zero maintenance, can be made indestructible and EMP-proof, and can handle up to 200,000 amperes. Link to the complete PDF Magnetic Amplifiers, another lost technology, by the US Navy. mag amp modulates Tesla-coil transmitter. Shown is the basic mag-amp circuit. The angle symbol is the control coil. Magnetic amplifiers and magnetic shut-off’s controlled early high-power transmitters, such as alternator and spark-gap transmitters. Navel electronics engineers are beginning to accept the fact that a competitor to the electron tube, in the power and control field, has not only penetrated their domain but is here to stay. When first confronted with this device, they simply ignored it as being an impostor, too slow, cumbersome and inefficient to be taken seriously. Even when it started to strut in a new cloak of self-saturation and promoted itself to the rank of magnetic amplifier, it was still ignored by American electronic engineers. The device finally gave up in disgust and proceeded to Germany for physical reconditioning and a post-graduate course in social education. The electrical-machinery people early visualized the advantages of the device as attested by the almost universal application of this static control for rotating equipment. Electronics engineers are now forced to concede recognition of the magnetic amplifier, as it gas demonstrated its value beyond question in many fields previously dominated by electron tubes. The significance of this development in relation to Naval engineering is better appreciated when it is realized that this component is applicable to almost everything that rotates or moves on a fighting ship: throttle controls on the main engines; speed, frequency, voltage, current and temperature controls on auxiliary equipment; fire-control, servo mechanisms and stabilizers for guns; radar and sonar equipment; pulse-forming, sweep multivibrator circuits for radar, loran, and transponder equipment; and computers, and course-and-speed plotters to verify the results. The device is ideally suited to submarine and aircraft equipment because of the extreme voltage fluctuations of the prime power sources. Numerous countries have contributed to its evolution. The magnetic amplifier is not new; the principles of the saturable-core control were used in electrical machinery as early as 1885 although they were not identified as such. Saturable-core devices have been used, principally in heavy electrical machinery, in the U.S. since 1900. The U.S. Navy has been using them to a limited extent mostly as static control instruments in rotating equipment during the past eight years. Development beyond this perimeter into the electronic field has been retarded in the U.S. primarily due to the reluctance of our engineers to experiment with a new device, especially in view of the excellent performance experienced with current electron tube equipment. Many engineers are under the impression that the Germans invented the magnetic amplifier. Actually it is an American invention. The Germans simply took our comparatively crude device, improved the efficiency and response time, reduced weight and bulk, broadened its field of application, and handed it back to us. It was mainly the improvement in processing magnetic material and the introduction of selenium rectifiers that led to the wide use of magnetic amplifiers by the Germans. From Magnetic Amplifiers, Another Lost Technology, by the US Navy, edited by Trinkaus, published in print 2000 to 2011 by High Voltage Press. in Nuts & Volts, Feb. 2006. The green coils are loading coils, wound in opposite directions. 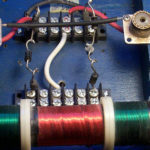 The red coil is the control coil. A DC signal on the control coil controls oscillating high energy in the loading coils. The mag amp is a sort of variable choke controling a circuit by varying the permeability of a magnetic core. All three coils are wound on a core of 1/2″ x 6″ ferrite rod (#33), slipped inside acrylic tubing for insulation. Loading coils have 860 turns of #26 enamel in 13 layers, with turns of electrical tape between layers. Control coil wound with 400 feet of #30 enamel. Nylon fender washers complete the spools. The loading coils are frequency-specific and resonant at 180 kc. Diodes are 1N4008, 1-KV, 3-amp. … The MagAmp finally was unveiled to the public for the first time at the “High-End Show” 1997 in the Kempinsky Hotel/Neu Isenburg. In our demonstration it was alternated with the tube amplifiers of Ken Shindo and paired with our speakers the “Provence” by Auditorium 23 as well as the “Pata Acoustica” by ATD from Italy. The MagAmp generated a lot of excitement and was very favorably received. … At the Munich High-End Show in May 2009 the new MagAmp prototype generated tremendous excitement among visitors and journalists just as it had year’s prior when it was first introduced. The next opportunity to show the new MagAmp was the Consumer Electronics Show in Las Vegas in January 2010, where it also caught the attention and piqued the interest of many visitors. In Germany, Cai Brockmann of Image-Hifi was once again the first reviewer to be given the new MagAmp and we also shared with him this story of how it came to be. The relaunch of the magnetic amplifier is my hommage to Lars Lundahl. While Lars is not able to actively participate in this new project, we are honored to have his support. Through his various works in transformer design and this one-of-a-kind amplifier, Lars Lundahl undoubtedly deserves to stand in line with the most important personalities in Hi-fidelity of the last 50 years.